The perfect complement to our Madeline comforter, this soft Madeline reversible microfiber sham by OakRidge™ repeats the pretty patchwork style. 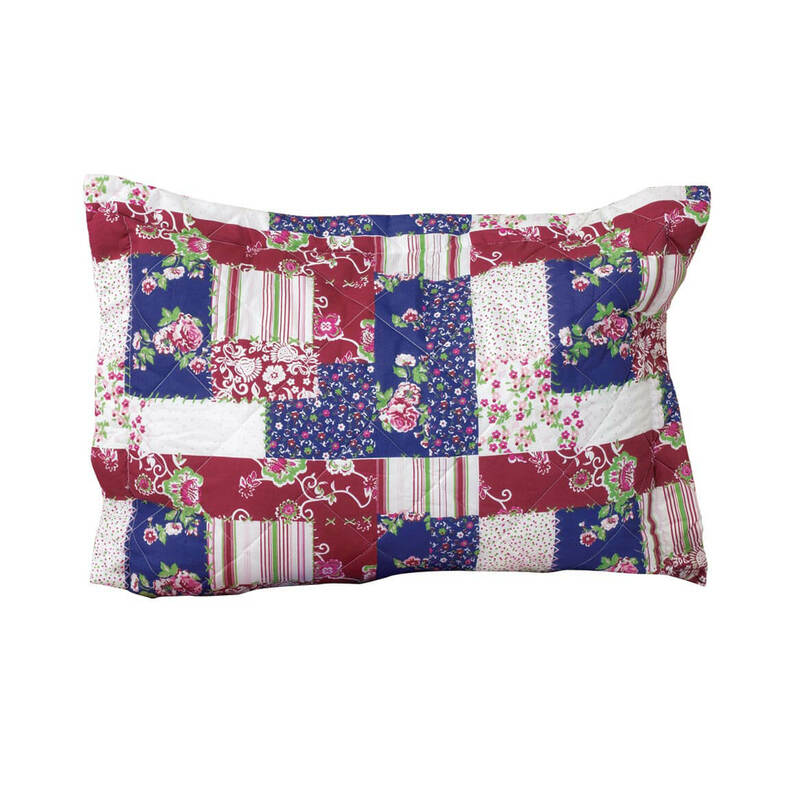 Made with the same soft, breathable microfiber, the reversible bed sham features a timeless patchwork design on one side and a classic floral print on the other. Choose from 2 sizes to add a beautiful finish to your bedding ensemble. Madeline reversible microfiber comforter sold separately. Machine wash warm; tumble dry low. Imported. Marilyn’s daring color contrast transforms your bedroom into a work of art. Luxuriously soft, 100% cotton chenille bedspread features a big, bold floral pattern on a natural background — a perfect palette of style and all-season comfort. Machine wash cold, separately, non-chlorine bleach when needed; tumble dry low. Pairs perfectly with our Marilynn chenille sham (sold separately). The perfect complement to our Marilyn chenille bedspread, this matching sham continues the daring color contrast to complete the look. 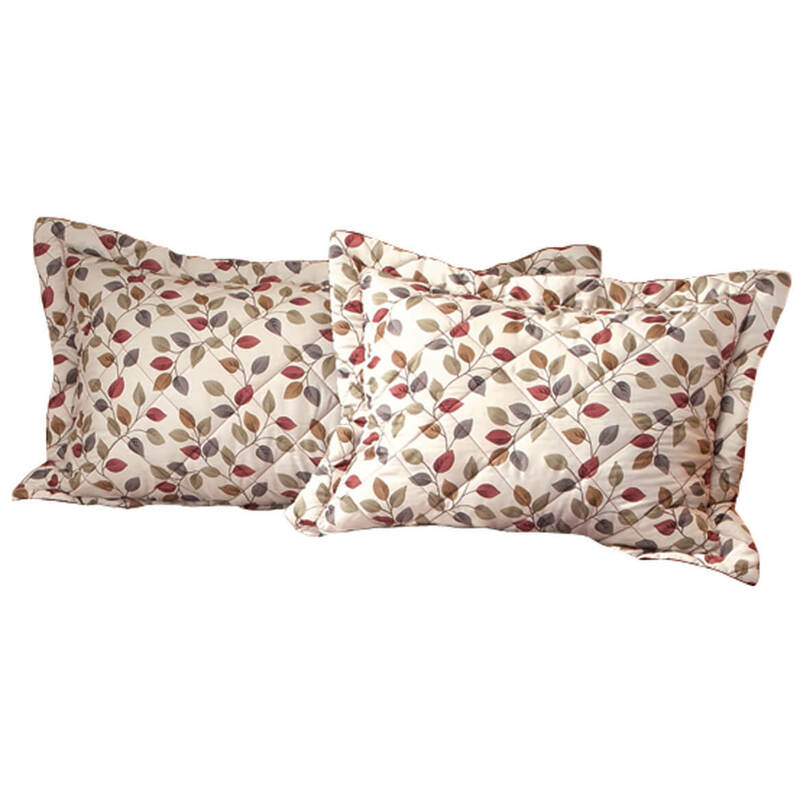 Luxuriously soft, 100% cotton sham features the same big, bold floral pattern on a natural background. 26” long x 20” wide. Machine wash cold, separately, non-chlorine bleach when needed; tumble dry low. Marilynn chenille bedspread sold separately. Traditional beauty and comfort combine in this OakRidge™ exclusive. 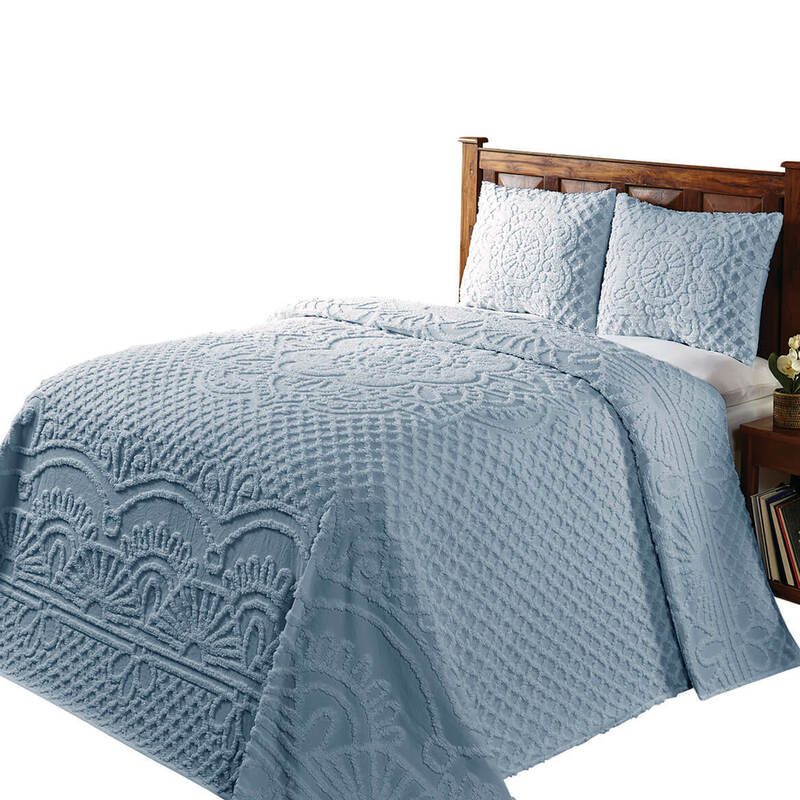 The Martha Chenille Bedding features a timeless medallion pattern that is both cozy and inviting. These 100% cotton chenille bedspreads make a great update to any bedroom. Chenille bedding comes in Twin 80″ x 110″, Full 96″ x 110″, Queen 102″ x 118″, King 118″ x 118″. Machine wash; Imported. Shams sold separately. 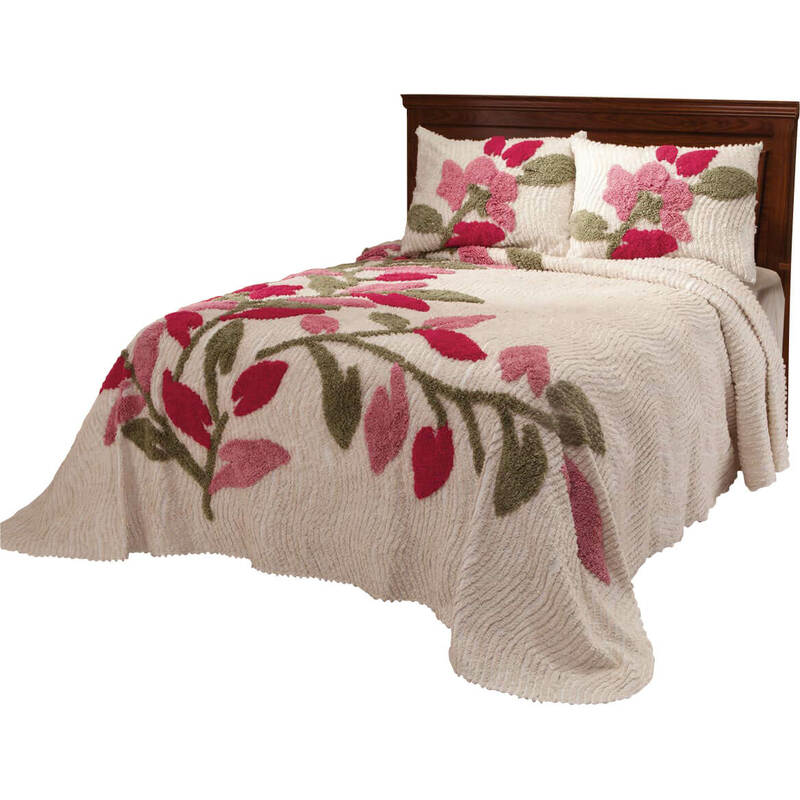 Chenille bedspread sham made exclusively by OakRidge™ combines traditional beauty and comfort. 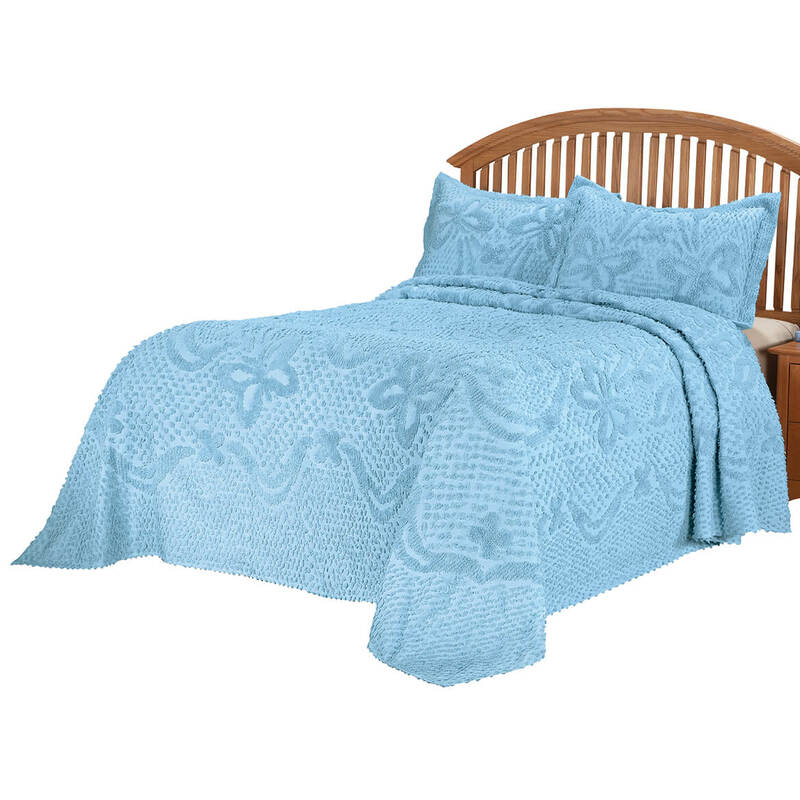 This chenille bedding in the Martha pattern features a timeless medallion that is both cozy and inviting. 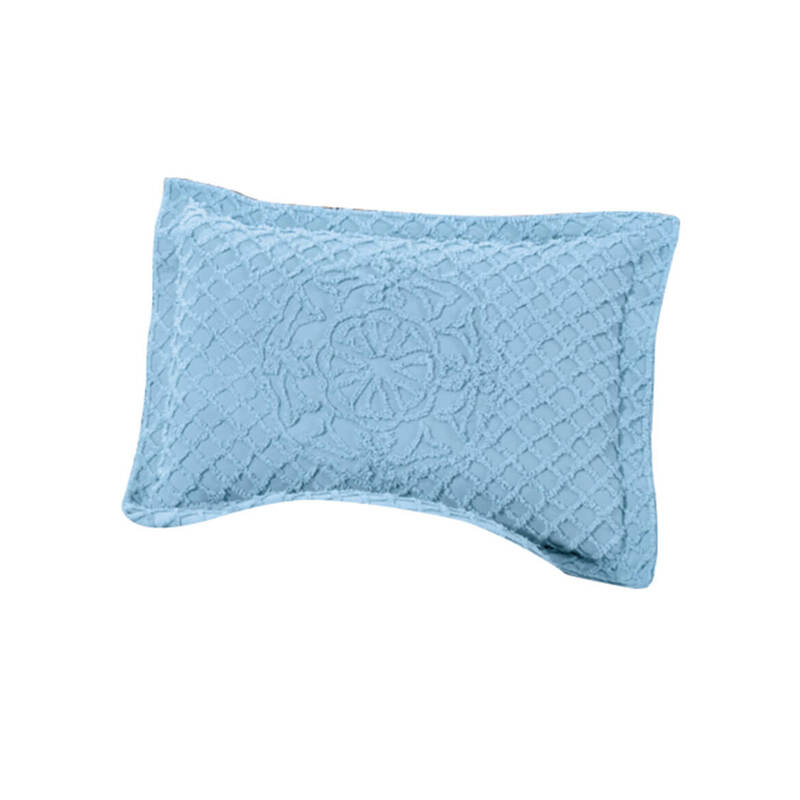 This 100% cotton chenille sham makes a great update to any bedroom. 26″ L x 20″ W sham fits standard pillow. Machine wash; Imported. Transform your bedroom into a leafy retreat with this luxurious Virigina Reversible Comforter by OakRidge™. The quilted print side features a charming leaf pattern, reversing to solid deep burgundy perfect for any season. Soft, 100% polyester is warm and cozy in winter, cool and breathable in summer. Machine washable for easy-care convenience. Specify size. The quilted bedspread coordinates perfectly with our Virginia sham, energy saving curtains and recliner protector (all sold separately). 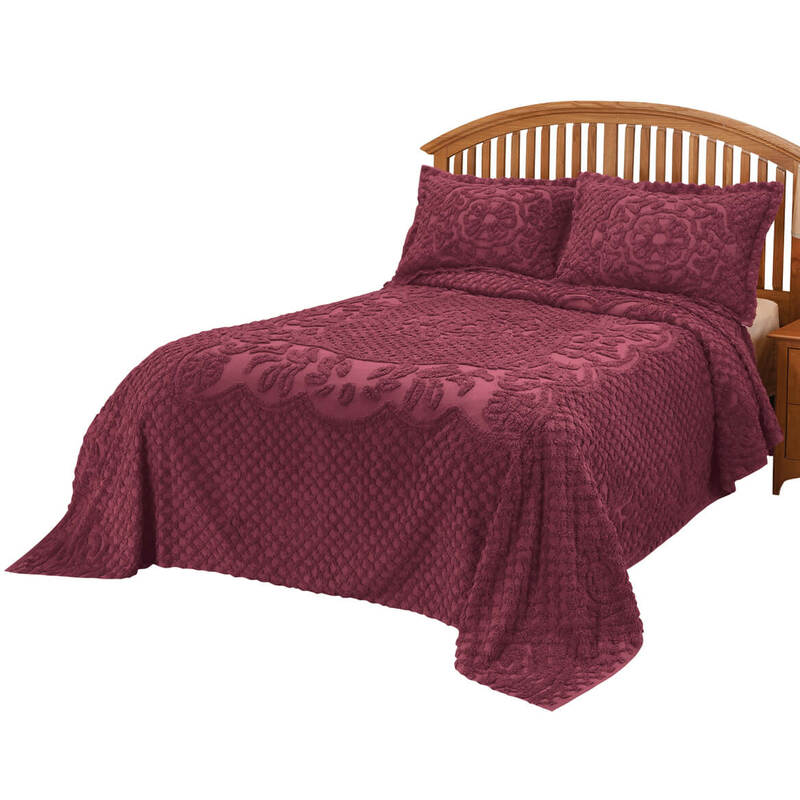 The perfect complement to our Virginia comforter (sold separately), this coordinating Virginia sham by OakRidge™ completes your bedding ensemble with the same charming leaf pattern on the front and deep burgundy on the back. Soft polyester sham cover is machine washable and features a zipper for easy-on/off convenience. Specify size: standard (26″ long x 20″ wide) or king (36″ long x 20″ wide). Transform your bedroom into a stylish retreat with this classic chenille all-in-one set. 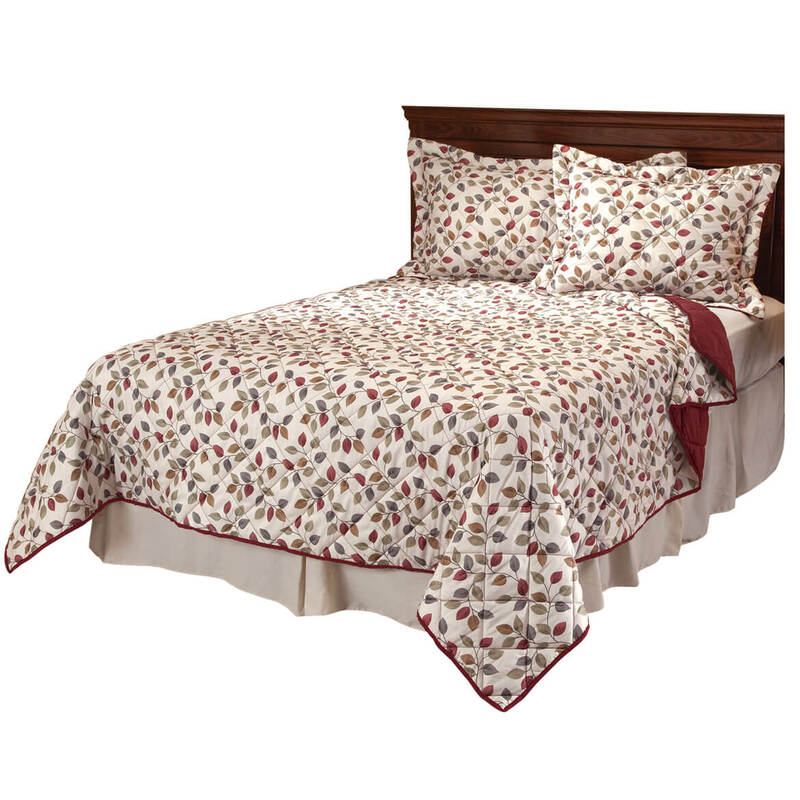 Bedspread and coordinating shams are soft 100% cotton, for lightweight breathability in summer, cozy warmth in winter. Plush tufted medallion and diamond motif is a sophisticated finish to any décor. Set includes bedspread and 2 shams (twin includes 1 sham). Machine wash. Specify color: sage, rose, blue, white or ivory. Specify size: Twin (110″ long x 81″ wide), Full (110″ long x 96″ wide), Queen (110″ long x 102″ wide) or King (110″ long x 120″ wide). Cover your bed in beauty and butterflies with this OakRidge™ exclusive. The Caroline chenille bedspread combines the timeless comfort of chenille with a tone-on-tone butterfly design for natural charm. 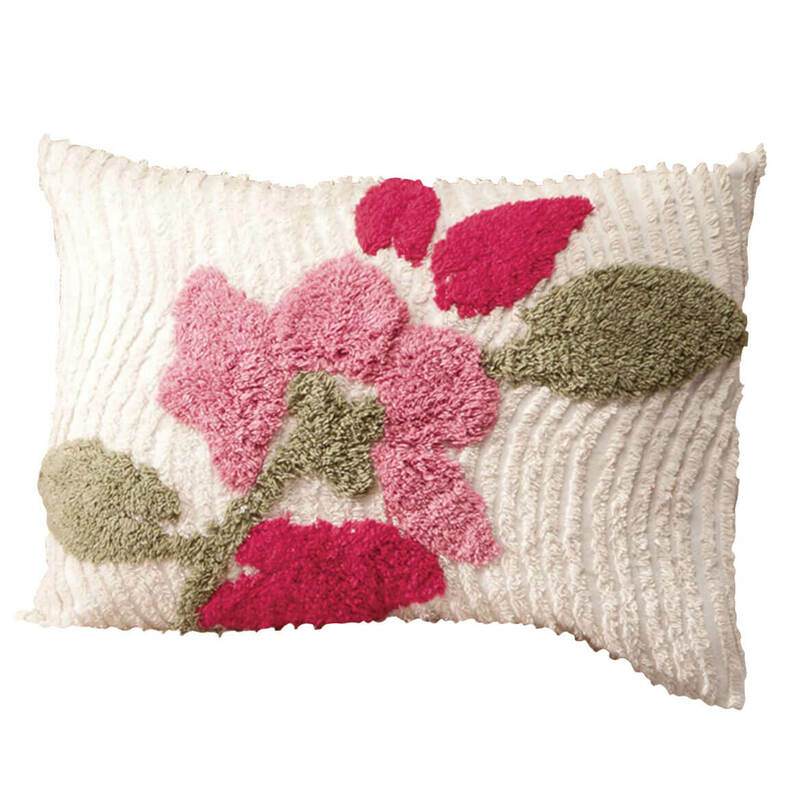 100% cotton chenille is soft, cozy and machine washable. Imported. Twin measures 80″ x 110″; Full measures 96″ x 110″; Queen measures 102″ x 118″; King measures 118″ x 118″. Shams sold separately. Sweet dreams are yours with this Madeline reversible microfiber comforter by OakRidge™’s pretty patchwork style and cozy warmth. 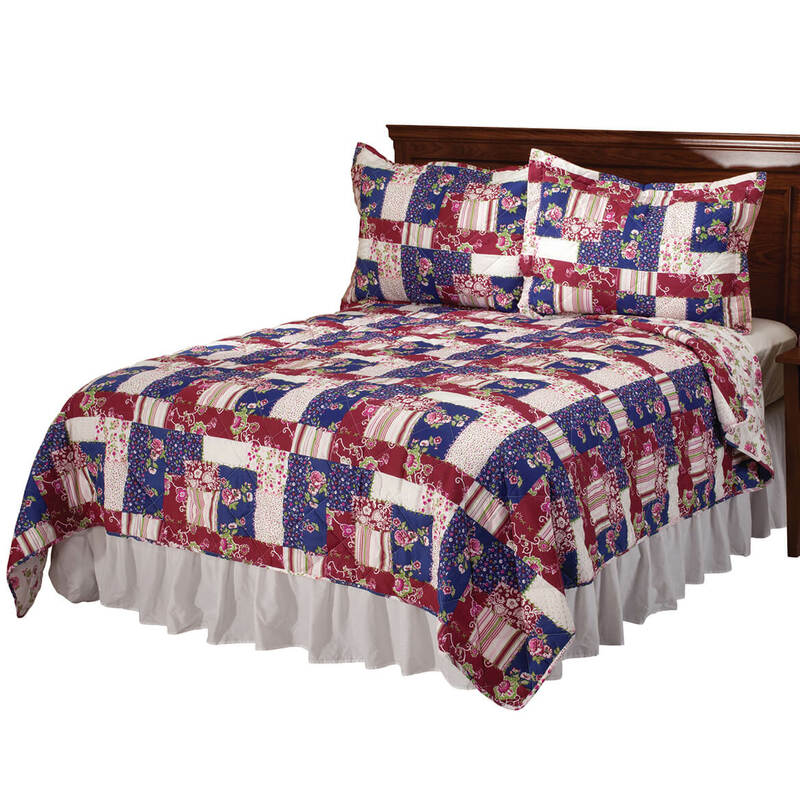 Cuddly-soft comforter set is reversible for 2 fresh looks, with a timeless patchwork design on one side and a classic floral print on the other. Easy-care microfiber comforter will keep you cozy year-round, providing breathable comfort in summer and lightweight warmth in winter. Add our coordinating Madeline shams for the perfect finishing touch to your bedroom décor (sold separately). Machine wash warm; tumble dry low. Imported.